Modern ceiling fans are more energy-efficient and lighter than their predecessors and are a great help in keeping your home comfortable throughout the year by keeping the air moving around to achieve this aim. It should be remembered that not all ceiling fans are alike and you will need to choose the right fan for your space so that you get the best results. Here are 6 things to know when selecting and hanging your chosen ceiling fan. 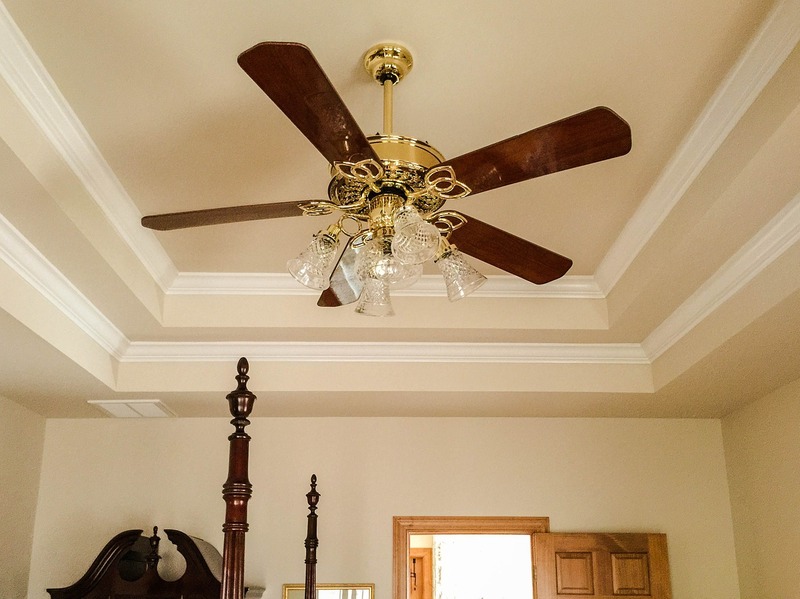 The primary purpose of your ceiling fan is to circulate air in the room so in order to get the best performance out of your fan you will need to select the right size. This is important because you not only want your ceiling fan to perform efficiently but you also want to achieve the best energy-efficiency results when running your fan. Get advice from the supplier if you are not sure which size is right for your room but as a general guide, a 29 to 36 inch fan diameter will cope with a room size of up to 75 square feet and there are various diameters in between, up to a 50 to 54 inch diameter fan which will be suitable for rooms that are between 225 and 244 square feet. Ceiling fan blades are really more of a design feature rather than being to do with efficiency or utility, so you can often pick the blade design you like the look of without compromising on performance. The number of blades and blades shapes themselves are constantly being updated, so you should be able to find one that works for you in terms of design as well as efficiency. The ideal height between fan and floor should be about eight feet, so remember this when making your selection. Take the time to measure the height between your ceiling and floor and work out which mounting option for your ceiling fan will be suitable. There is real trend in modern ceiling fan design to offer customers a good combination of style and function. Some innovative designs even include ceiling fans that are hidden within a lamp shade and modern versions also offer a range of adjustable speeds and can even be reversed to assist with heating during colder periods, so you should really be able to get exactly what you want. If you are installing your new ceiling fan yourself, remember that the National Electrical Code (NEC) prohibits the use of a standard ceiling box because the ceiling fan is going to be too heavy for it. Carefully check the manufacturer’s installation instructions and use the approved ceiling box for that model. If you are unable to access the area directly above the box you are going to install, you will have to use an adjustable hanger bar which is specifically designed to aid safe installation through the hole left by the existing ceiling block. If you are unsure, don’t take chances, call a professional to help you with the installation of your new ceiling fan, so that you can get the best out of it and be sure that is also safe and secure. Irene Middlebrook is a home decor and design consultant. She enjoys sharing her insights online. Her articles appear mainly on home improvement and DIY websites.